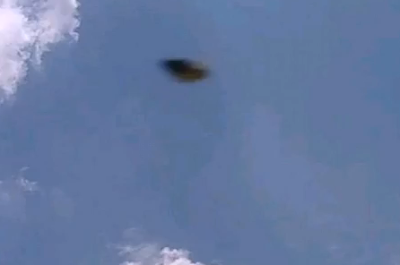 UFO SIGHTINGS DAILY: UFO Over Mexico Gets Caught Near Clouds In Day light, Aug 2015, Video, UFO Sighting News. 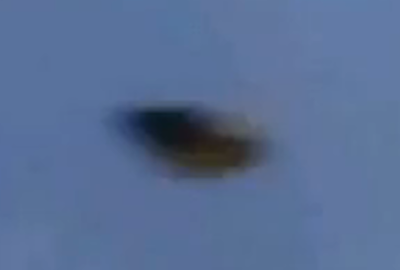 UFO Over Mexico Gets Caught Near Clouds In Day light, Aug 2015, Video, UFO Sighting News. This UFO was caught not by watching the sky, but by leaving the camera and letting it record. This is smart, because a lot of UFOs can hear your thoughts from a distance and thus, the UFO will automatically cloak itself. Have you ever looked at a UFO cloud and then instantly it starts to disappear before your eyes? Thats it. Its a auto cloaking system that works really well, but not well enough. Because no one was watching, this UFO thought it was safe to shoot past. Nice catch. UFO suddenly appears before my camera here confirmed that it is no coincidence other sightings I've seen, so I left with my camera and without investing much time managed to film the UFO, which seems to me also that you can try a Dimensional Portal.